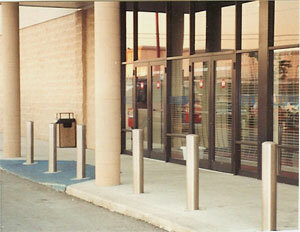 Column wraps are designed for column protection against shopping carts and abrasive wear from customers. 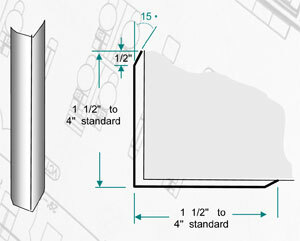 Corner Guards provide protection at sheet rock, block, or vinyl wall corners or ends. Typically located in areas where traffic is limited to shopping carts, employees and customers. Designed for protection with an appearance upgrade. U-Shape Guards provide protection at sheet rock, block, or vinyl wall corners or ends. Typically located in areas where traffic is limited to shopping carts, employees and customers. Designed for protection with an appearance upgrade. Designed & developed to protect cabinetry, fixtures, wall corners, door ways, food & beverage cases & other items from damage due to pallet jacks, shopping carts and more. Top corners are provided with 1/2" radius and all edges are smooth for safety. Simple installation makes these an economical way to prevent damage before it occurs. Designed & developed to protect cabinetry, fixtures, wall corners, door ways, food & beverage cases & other items from damage due to pallet jacks, shopping carts and more. 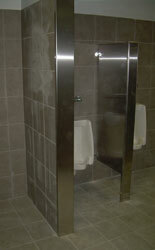 Designed & developed to protect fixtures, wall corners, and door ways. Typically located in areas where traffic is limited to shopping carts, employees and customers. Designed for protection with an appearance upgrade.